In the same way that the geeks/nerds took over the world in the age of computers, educators will have their time. And their time is coming...fast. The best thing is that I'm not just talking about teachers and trainers, but everyone with their inner educator waiting to bust out. Before I tell you about social media and transforming yourself from Clark Kent into Superman, lets level the playing field and understand some basics. First, how do small companies become big ones? The best answer is that they figure out a way to scale up. See Economies of scale. The internet, specifically the NEW internet (Web2.0), ALSO supports the theory of The Long Tail. I will not explain them here, but simply hope you have them in the back of your mind as you read on. Schools. Ah yes. Classroom training. As eLearning professionals we LOVE to LOATH them. But, at least for a while longer, they will remain as they are. Oh heck, let's cut to the chase. Here's the punchline. Web2.0 and Social media give individual educators (teachers/trainers) the ability to scale up taking advantage of economies of scale while simultaneously taking advantage of the long tail. If that's too much mumbo jumbo for you, then I'll make it easy for you. Here is my 2-step program for turning YOU, the average Clark Kent trainer/teacher into SUPERMAN, the amazingly global superstar of your area of expertise! These are the tools you will need to learn. You MUST learn to use them to your advantage. If you're not into the superman analogy then perhaps think of all the social media tools as part of Batman's utility belt. Its like having all the experts around the world in your back pocket. Jane Bozarth covers all of the basic social media tools: blogs, Facebook, twitter, etc. And she explains them in a practical easy to follow style. Jane will get you up to speed FAST! Be sure to meet Jane at DevLearn 2010 this year and get your copy of the book signed. If you just want to be the superman, or Batman, of teachers and amaze your peers with your superhuman capabilities then you're good to go. Go forth and teach. Step 2: Saved for another blog post - so give yourself some time to figure out Social Media and THEN we'll get together and figure out how you can cash in on your superpowers. Great post, Brent. Thanks for sharing. I just received my copy of Jane's new book and LOVE it! the elimination of incentives to take on excess risk, and so on. Thanks Brent. 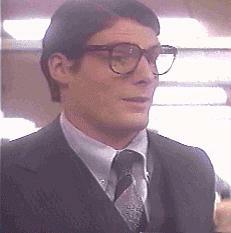 I'm new to this "social media" realm, but I already feel a bit like Superman. I do the work of several "marketing trainers" by delivering training via web seminars instead of the old fashioned way: on-site visits and presentations. But this 'new' method will soon be "old fashioned." In fact, although it's a great improvement, it still has severe limits of scalability - we can only reach our largest customers. By using the social media, if I understand correctly, our customers, even the single person operations, can link to our training at their convenience. We can actually reach ALL of our customers (if they want to be reached), and we don't need an army of trainers! Talk about Superman! Thanks again for this insight. Thank you for the links. Social media learners are definitely empowered by it. It's time learners online utilize the web 2.0 tools in their informal learning. It certainly adds value to cost effective training solutions like elearning through social and collaborative interactions with like-minded individuals on the web.